The Mountain Farm Museum and Oconaluftee Visitor Center are located at the entrance to the Great Smoky Mountains National Park on U.S. Highway 441 / Newfound Gap Road near Cherokee, North Carolina. The Blue Ridge Parkway ends nearby. Stop by the Oconaluftee Visitor Center for plenty of maps, guides, exhibits, helpful park rangers and programs. 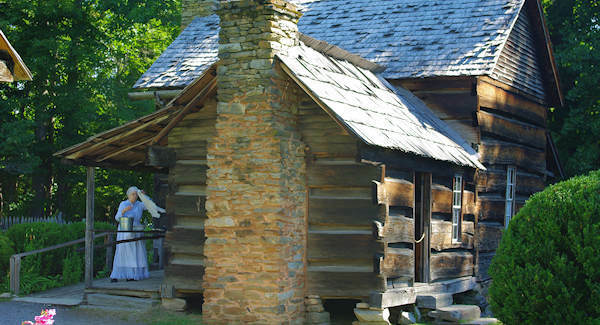 The Mountain Farm Museum includes farm buildings, most dating around 1900, that were moved from their original locations throughout the Great Smoky Mountain National Park to create an open-air museum. Visitors can explore a log farmhouse, barn, apple house, springhouse and a working blacksmith shop to get a sense of how families may have lived 100 years ago. It's a beautiful setting for a stroll. Most of the structures were built in the late 19th-century and were moved here in the 1950s. The Davis House is a rare chance to view a log house built from chestnut wood before the chestnut blight decimated the American Chestnut in our forests during the 1930s and early 1940s. The Farm Museum is free. Open All Year: October 8 AM-6 PM, November-March 8 AM-4:30 PM, April 8 AM-5 PM. 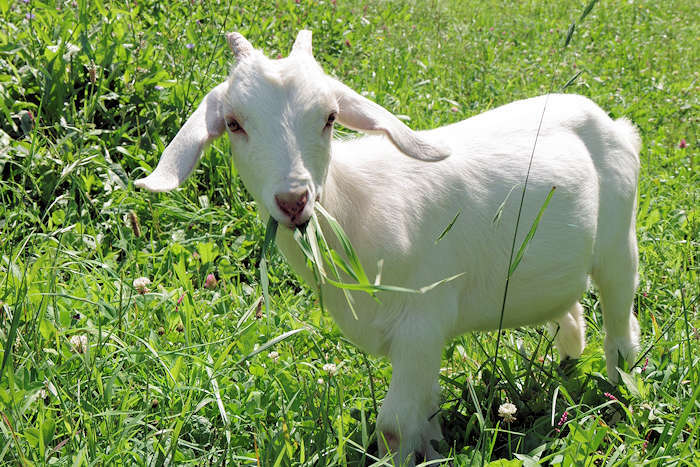 See other farms to visit. The Oconaluftee River Trail is one of two walking paths in the Smokies where visitors can walk dogs and bicycle. Pets and bicycles are prohibited on all other park trails. 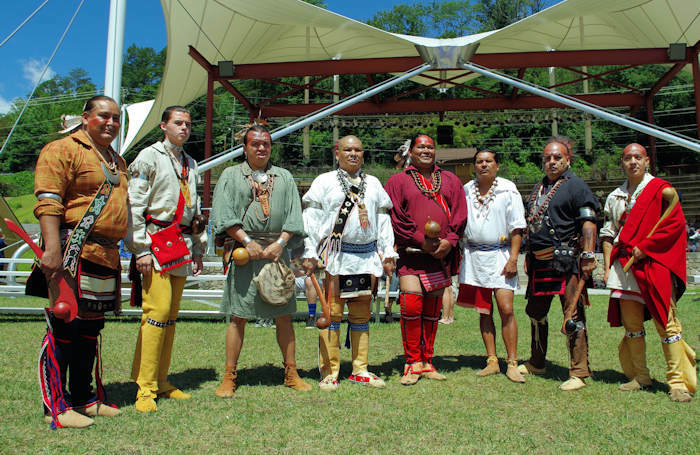 The trail travels 1.5 miles one-way from the Oconaluftee Visitor Center to the outskirts of the city of Cherokee, NC. It is relatively flat but does have a few small hills. 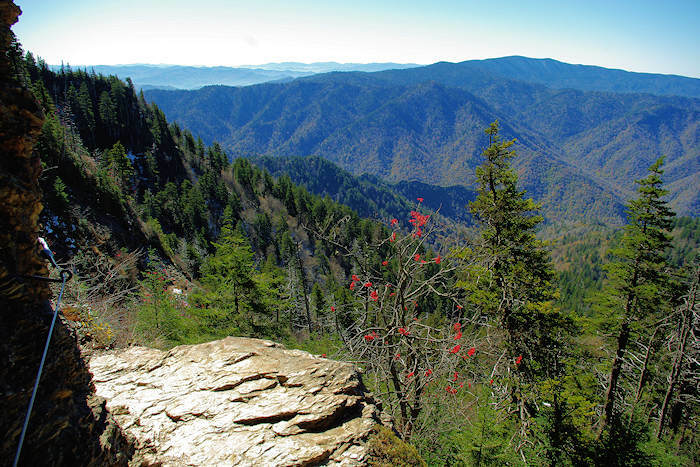 The trail runs through the forest alongside the Oconaluftee River and offers beautiful views of the river. 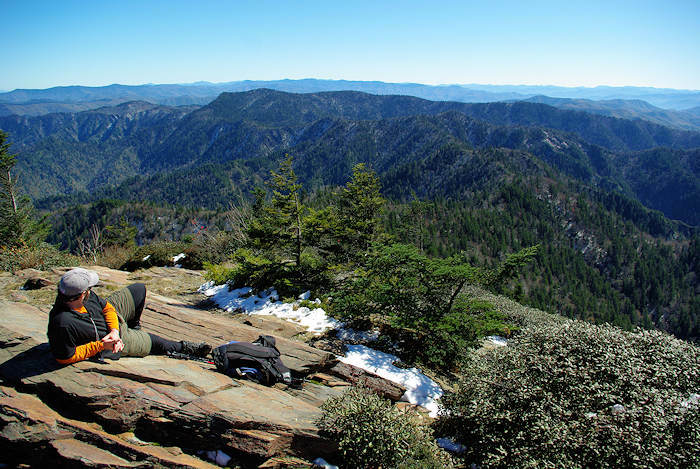 The Oconaluftee Visitor Center for the Great Smoky Mountains National Park is a state-of-the-art center constructed by the Great Smoky Mountains Association (GSMA) and donated to the Park. 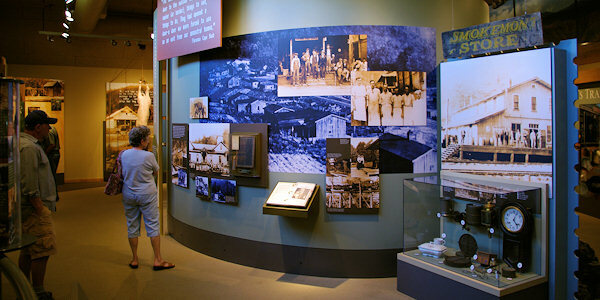 See orientation and cultural themed exhibits and informational media. Pick up brochures and shop in the well-stocked gift shop. Park rangers will answer questions and give you a free map! The center is open daily, 8 AM until 6 PM. The fully-accessible restroom building and orientation kiosk are open 24 hours a day. 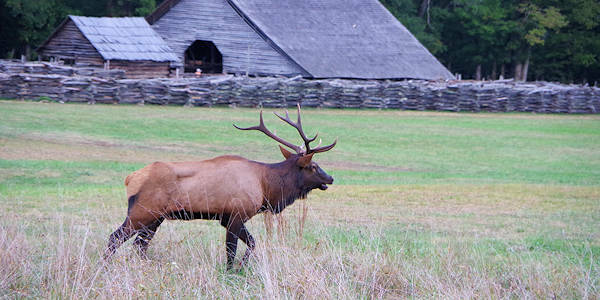 Watch the elk in the large meadow beside the visitor center on many mornings and evenings (right after sunrise or 1-2 hours before sunset). Read more about seeing the elk. About 52 miles from downtown, allow 1.5-2 hours to travel. Take I-40 West to Exit 27. Follow Highway 19/23/74 for about 4 miles and exit onto Highway 19 toward Maggie Valley. About 3 miles past Maggie Valley, watch for the Blue Ridge Parkway entrance, and go south. The Parkway ends at Highway 441. Turn right to find the Visitor Center. The Parkway is closed much of the winter. If the Parkway is closed, continue on Highway 19 to Cherokee and follow Highway 441 North. Street address: 1194 Newfound Gap Rd, Cherokee, NC 28719. 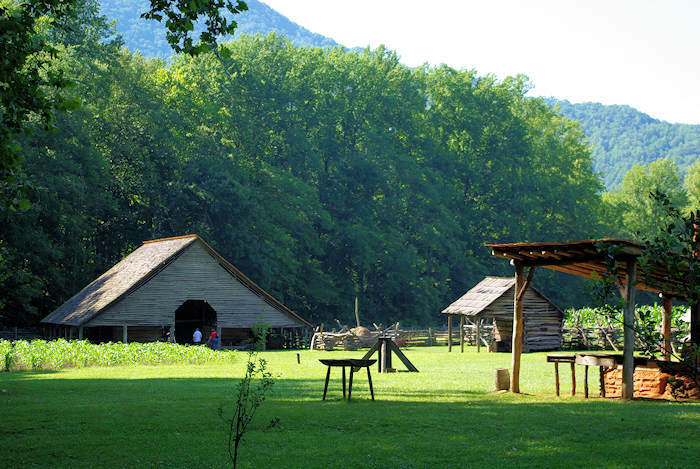 This annual event at the Mountain Farm Museum in Great Smoky Mountains National Park preserves the legacy of Appalachian folkways and serves as a tribute to the many families who lived on lands that would later become the Park. 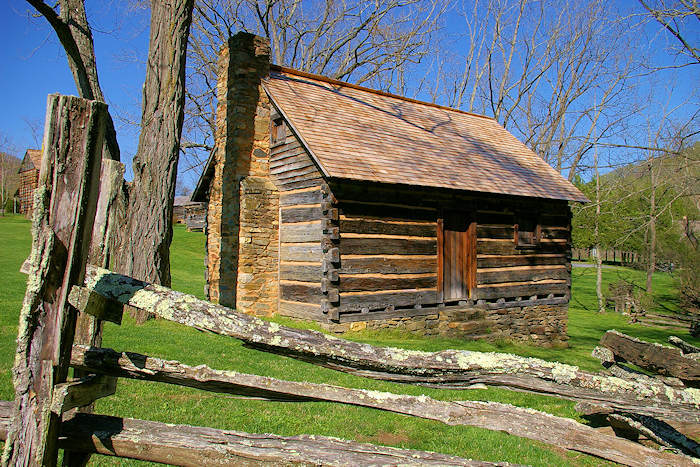 See the traditional fall activities that were an important part of rural life, including hearth cooking, apple butter and apple cider making, blacksmithing, lye soap making, food preservation, broom making, quilting and chair bottoming. Artifacts and historic photographs from the Park's collection will be on display, and music will be provided by local musicians. The centerpiece of the event will be the sorghum syrup demonstration. All activities are free. 10 AM-4 PM. See old-time crafts being demonstrated. Learn by observing the practical arts of quilting, weaving, basket and doll making, apple cider and apple butter. Live music. Free. 10 AM-3 PM.